Perfect Prep Day and Night from Tommee Tippee is a dream machine to help you do just that. Not only does it prep the perfect bottle in two minutes, it's also sleep friendly with added features specifically designed to make night feeding so much easier. The Tommee Tippee Perfect Prep Day and Night machine making bottle feeding a dream right around the clock. 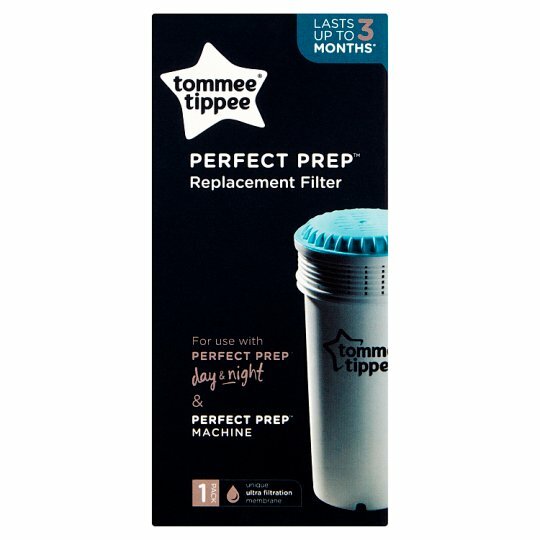 These are genuine Tommee Tippee anti bacterial filters for your Perfect Prep machine. We only recommend you use Tommee Tippee Anti Bacterial filters with the Perfect Prep Machine. Do not use other brands of filters. The filter may look a lot like other water filters but inside is a unique filtration membrane to remove bacteria and other contaminants that can sometimes be found in water. The filters in this pack have been sterilised and are certified to food grade please do not open until they are needed.